Lapidary Whisperer: GEODE CHANNELS--ARE THE MINERALS GOING IN OR OUT? GEODE CHANNELS--ARE THE MINERALS GOING IN OR OUT? Have you ever seen what looks like a passageway between the inside and outside of a geode and wondered what is was? I love the colors and swirls of this geode and the way it shows the passage. It reminds me of the art work by Judy Chicago called "The Dinner Party". From the few I've seen, I always assumed the material was flowing in through the passage and coating the inside of the empty geode. Then I heard a different theory. 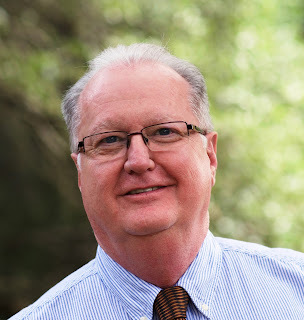 Dave Kleesattle, a geologist and rockhound, did a program at the Contra Costa Mineral & Gem Society on what he had learned years ago to call Einflusskanalen (which translates from German as "Influence Channels". His theory was that the channels were formed when the crystals formed inside the geode, thereby creating pressure on its walls. Then at a weak point on the wall, the pressure created an exit, reducing the inner pressure to a manageable level. I understood where he was coming from, but that didn't explain situations like the one in this image below where you can plainly see that at some time, horizontal layers formed inside the geode. I was perplexed. Photo courtesy of Dave Kleesattle. Now, I've always suspected that the passage was from a crack or weak point that allowed mineral-saturated fluids to enter and over time the liquid evaporated, leaving space for the next layer to enter. In my theory, years when the mineral-rich water filled the open geode, it coated the interior walls. When there were years with lower quantities of water entering the geode, you got the horizontal layers. 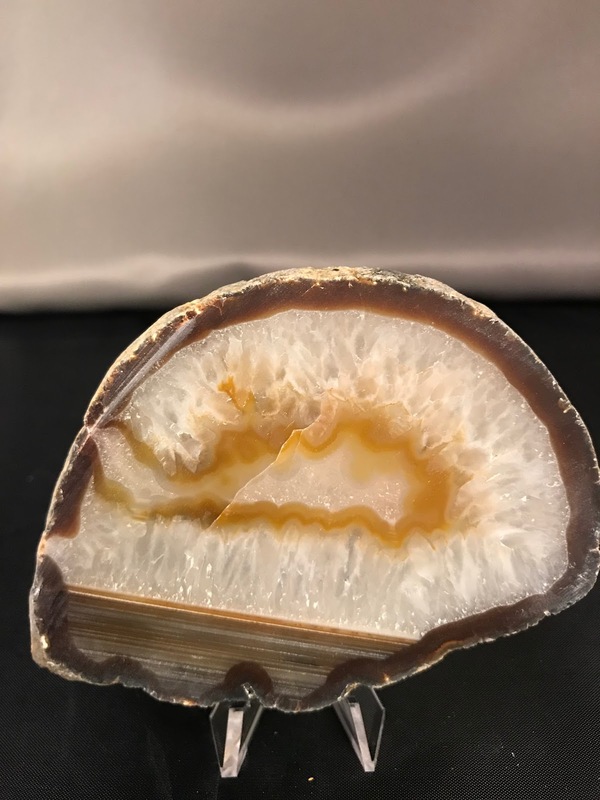 Notice in this geode that there are layers covering the irregular edges as well as a section of white and red horizontal layers. TIME TO CALL IN THE EXPERT! He wrote, "It appears you have run into the same perplexing question that all of us “students of agates” have encountered, “Are these mysterious features we see in agates (and some geodes) an entrance or exit channel?” I’ve been a serious agate collector/student for 45 years now and Donna, I simply don’t have a solid answer to your question. I might add that I am far more than an “armchair collector,” I’ve conducted a tremendous amount of field research on various agate deposits and I find nothing that provides a concrete answer. "For years I felt that these “conduit channels” were an entrance point for mineralized fluids. However, I can show you specimens where that channel never reaches the outer edge of the agate, highly suggesting it was an exit channel generated during crystallization of the agate. My personal opinion is that we are likely seeing both entrance and exit channels. 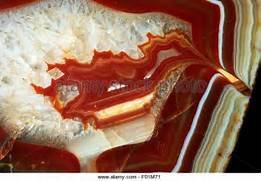 One of the things that us agate students must always remember when we are looking at these features is that we are only seeing a surface or two-dimensional view. The question arises,“What is the geometry of that tube deeper into the agate?” While the view we have in hand shows the tube not reaching the outer rim or edge of the agate, it may very well reach the surface several millimeters deeper in the agate and we are simply not seeing it in the view we have in hand. "I can assure you of one thing – the question of whether these are entrance or exit channels will continue until the end of time. We do not have a solid answer today and unfortunately we’re not going to have an answer when you and I leave this ole earth. Very little solid science or research has been conducted on agates – primarily because they have no economic value to industry. No one wants to sink money into expensive research when there is no monetary return for their investment dollar. That’s primarily why we have no solid answers today on these unusual features. "For now, simply enjoy these features in agates as a mystery we may never hold the answer to. 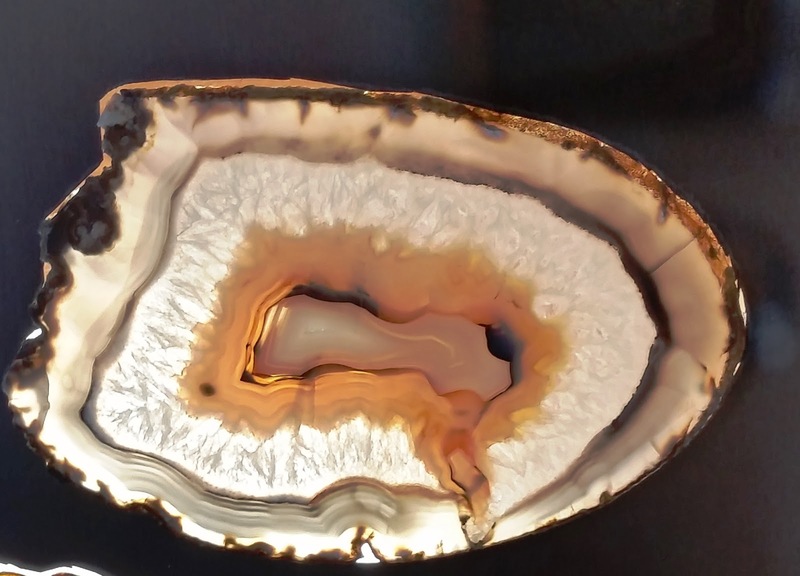 Perhaps it’s that unknown that makes agates and geodes so interesting and attractive. IF we knew the answers to all of the questions these incredible specimens possess, they simply may not be as interesting and attractive to us." 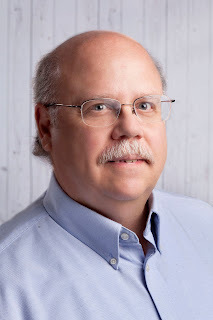 I'd like to thank Brad and Dave for the help they gave me with this blog post. Obviously, this is a fascinating topic, and barring amazing money for research on this topic, Brad's explanation is the best we'll ever have. I purchased Brad's "Geodes: Nature's Treasures" at a rock show. While it doesn't discuss the channels I've been exploring in this edition of my blog, it is a comprehensive guide to all things relating to geodes. The pictures of remarkable geodes like I've never seen before are well worth the price of the book alone. 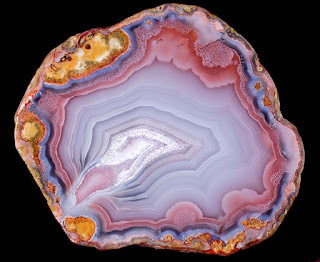 Karen A Brzys discusses agate formation in detail in her book "Agates: Inside Out". The consensus conclusion of the scientist she researched is that they are influx channels. For me the escape channel theory does not explain water levels, crystal lined geodes with agate outer layers, nor the color layering (why would they be so variable if all the silica fluid was inside the space at the same time? ).